Abigail was born premature with difficulty breathing. With the help of her team at CKHC, Abigail is growing stronger every day. Challenge: After being born at 1lb 10 oz wee Abigail's early months in the neonatal intensive care unit at UCSF were complicated by acute respiratory failure and feeding difficulties. 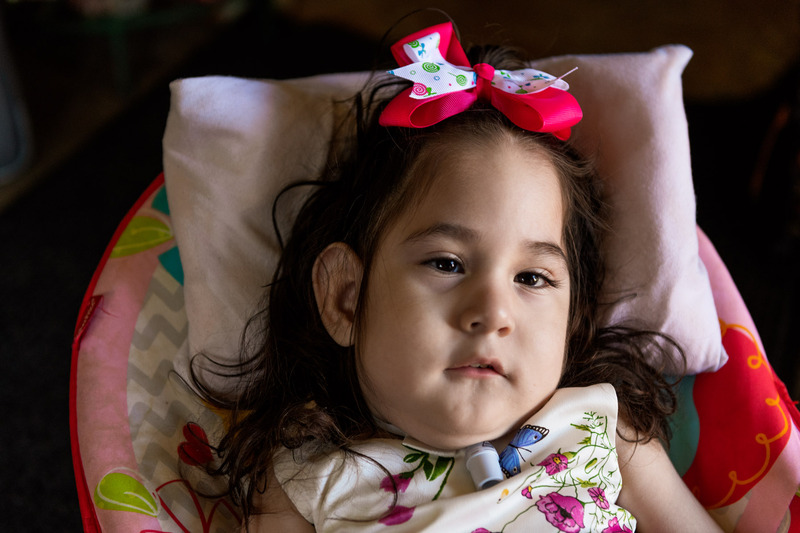 Solution Doctors placed a g-tube to support nutrition and weight gain and a tracheostomy to protect her fragile airway. At home, Coastal Kids helps Abigail's mom navigate her complex care.